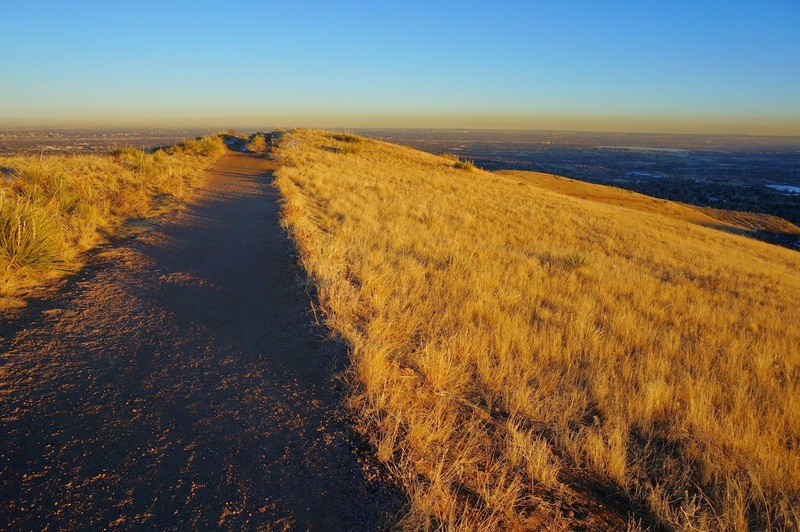 William F. Hayden Park, better known as Green Mountain, is a very popular park just west of Denver and South of Golden. The park is subtle and surprising. From the highway it is not much to look at but once you are on Green Mountain, you'll feel as if you've been transported 60 miles west to a wilderness area. In the spring, there are wonderful wildflowers, in the fall, the mountain takes on a golden glow in the evening. There is very little shade on Green Mountain which tricks you into thinking that you are above treeline at a much higher altitude, watch out for summer afternoon thunderstorms. There are many trailheads and a vast system of official trails and social trails. 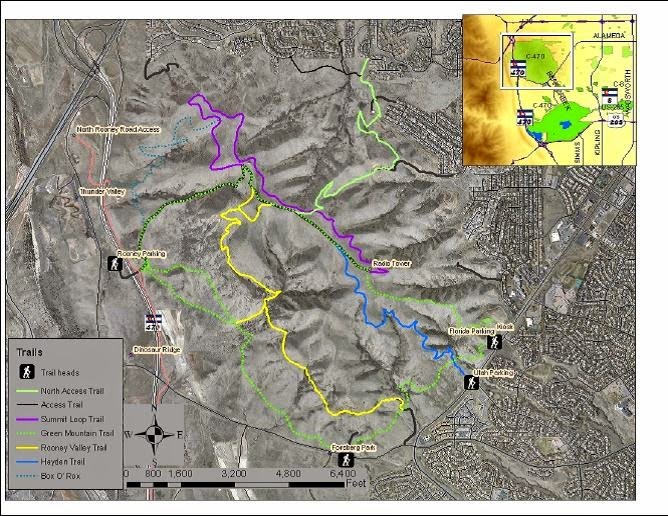 The Most popular is the Green Mountain/Hayden Loop and the trailheads along Alameda Parkway will fill up on the weekends. For a more remote and peaceful hike try the hikes that start on the north side at the Indiana Street Trailhead.